Here are our recommendations for games that would make good gifts this holiday. Click on your platform below and you’ll get a list of games, broken down into games that are great for all ages, and those that would be better for older gamers. Each listing includes a snippet from our reviews of the games. Remember DON’T FORGET GIFT CARDS! Sometimes these make better gifts than specific games, especially if you’re not quite sure what some one would want. Twilight Princess HD doesn’t do much to change its original subject matter, but it doesn’t need to do much. This game is a classic for good reason. It plays like the cool, older sibling of Ocarina of Time in the best ways possible. Sometimes it’s a little weird, sometimes it’s a little slow, but overall it’s fun, satisfying, thoughtful, and gorgeous. If you love puzzles and spooky fantasy adventures, add Twilight Princess HD to your list. Besides the main gameplay there are gazillions of characters, vehicles and other collectibles to find through out the game. That’s the same tried and true formula that has been working in LEGO games for more than 10 years. At the end of the day it is a LEGO game and it’s Star Wars. That’s all you really need to know. Paper Mario: Color Splash is one of the best titles now available for the Wii U. Not only is the story engaging and the gameplay just plain fun, the creative paper aesthetic of the characters and backgrounds are almost mind-boggling. While Pokkén Tournament lacks the advanced features and expanded campaign stories of most modern fighting games, it succeeds on transitioning fun pokémon characters into a fighting game formula. Numerous aesthetic unlockables and a leveling system help make each fight matter. And the training modes are some of the best I’ve seen. Pokémon fans wanting to play an easy to pick up brawler will delight in seeing beloved pokémon on the big screen. 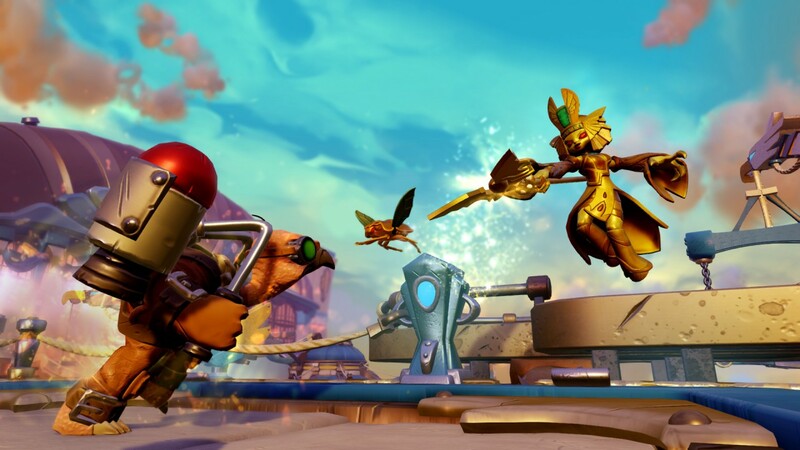 Skylanders: Imaginators is the first in the series that really feels comfortable in its own skin. The overland map and loot overhaul to support the new Imaginators are fantastic additions. Though I do worry about how this full makeover will be supported in future games. For now, Imaginators is the best Skylanders game yet. This is a game that tries some very weird, very new stuff with its controls and with its level formatting, and honestly using the nostalgia of the Star Fox franchise is probably the only way that such designs could have made it to market. And I’m glad it’s here. Star Fox Zero feels both smooth as a pearl and rough around the edges in a way that is extremely Nintendo.